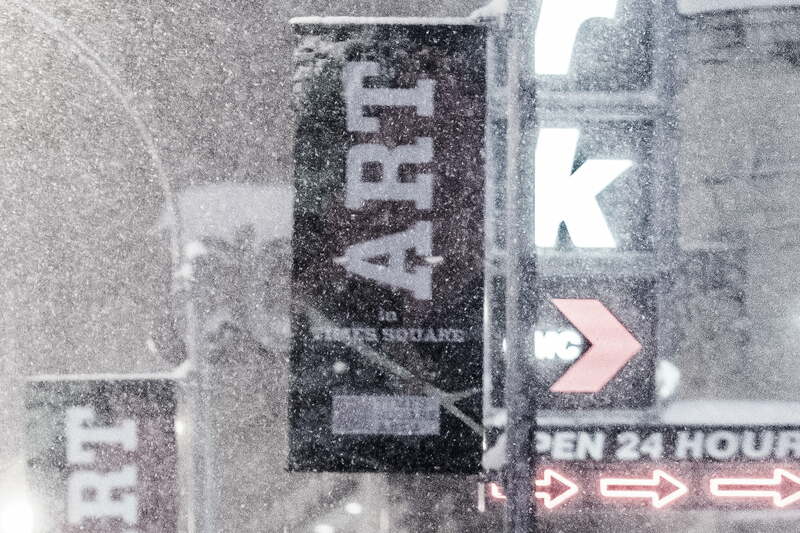 This is a story of the only night in the last century when Times Square was empty. 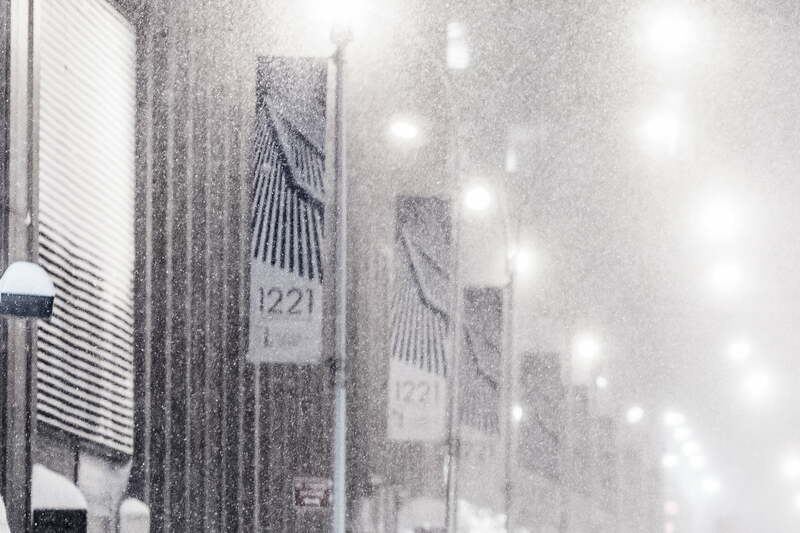 On January 23rd, 2016 one of the largest blizzards to ever hit the east coast of the United States roared into New York City. Officials declared a state of emergency, issued travel bans, and warned of the unprecedented nature of the storm. As the snowy day turned to a brutally windy blizzard of a night, I donned every last article of winter clothing I owned, packed up my gear, and headed out onto the streets. Never have I seen New York City, the city that never sleeps, so post-apocalyptically desolate. However, somewhere around midnight, a lull in the storm drew a few brave souls out of their cozy homes. 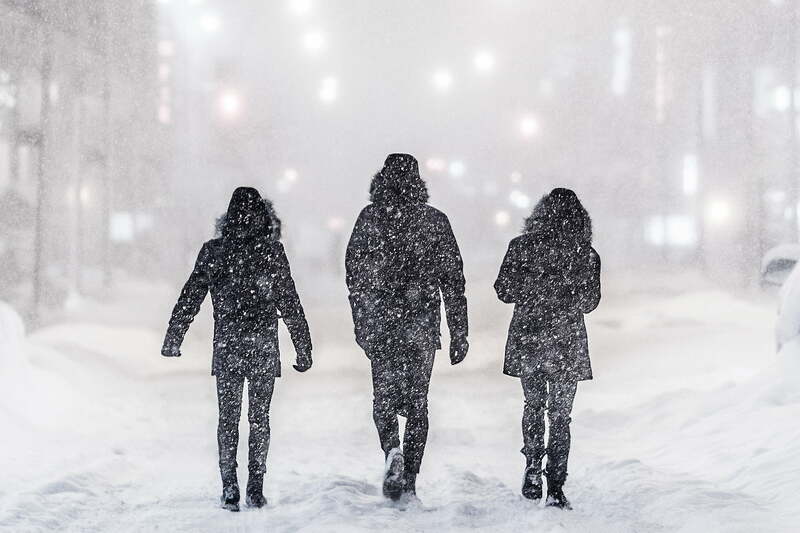 I was nearly alone in Times Square at the time and the strangely peaceful howl of the lonely wind and snow swirling down Broadway was suddenly interrupted by a trio of laughing friends. 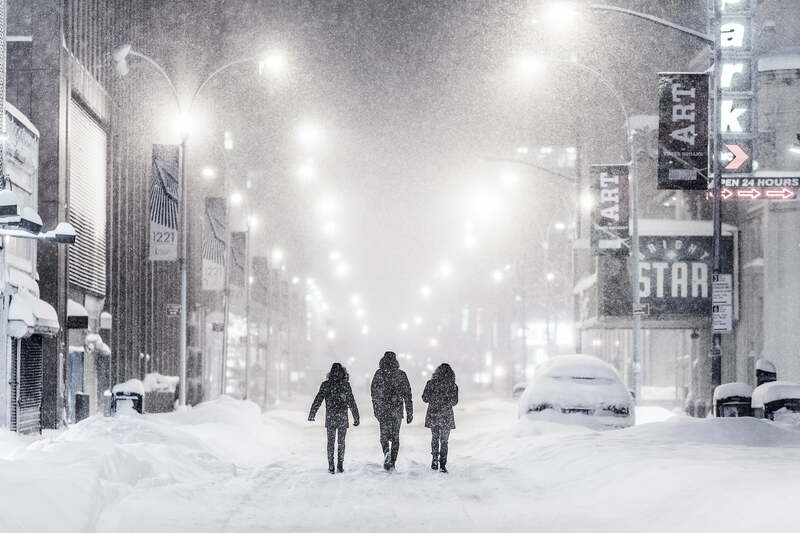 Lit by a canopy of street lights, they sauntered down the middle of a vehicle-less 53rd street into the distance, not letting the adverse weather quell their spirit. I will always remember how joyously they reveled in the New York City landscape of roadways as it has never been seen before: empty. This 50-megapixel VAST photo is one of the highest definition photographs ever created. It has a resolution equivalent to 24 HDTVs. Our framed option for this photo is a beautiful museum-grade, traditional matted frame. The mat is a wonderfully smooth crisp white and the wood frame is a very subtle creamy white, drawing out the subtle colors in the photograph. Every VAST Print has two certificates of authenticity hand-signed by the artist and the printmaker: one affixed to the back of the frame and one standalone. Additionally, each print is assigned a unique serial number via a permanent hologram seal and recorded in our registry. Its provenance is tracked and verified using state-of-the-art digital blockchain encryption technology. Note: The mat and frame add 5.5 inches to the width and height dimensions listed when you purchase.